With reverb, EQ, delay and more at your disposal, enhancing the sense of front‑to‑back space in your mix can be a challenging affair. We take you through some tips that will give your mix a depth charge! Rolling off some of the top and bass end with a high-cut and low‑cut filter respectively can help to make sounds seem more distant. In real life we hear sound in three dimensions, and although a stereo production obviously places all the sound sources in front of the listener on a left‑right soundstage, it can often seem harder to achieve a good sense of front‑to‑back depth when you're working with two speakers. Nearby sounds obviously tend to be louder than distant ones, and that's easy enough to mimic, but there are many other factors too, and consequently there's a lot more you can do than simply rely on your level faders. So, in this article I'll take you through a number of ways in which you can manipulate this aspect of your mix. If you want to place something at the back of the mix, it not only needs to be quieter than the up‑front sounds: it also needs to have less top end, to emulate the way air absorbs high frequencies. 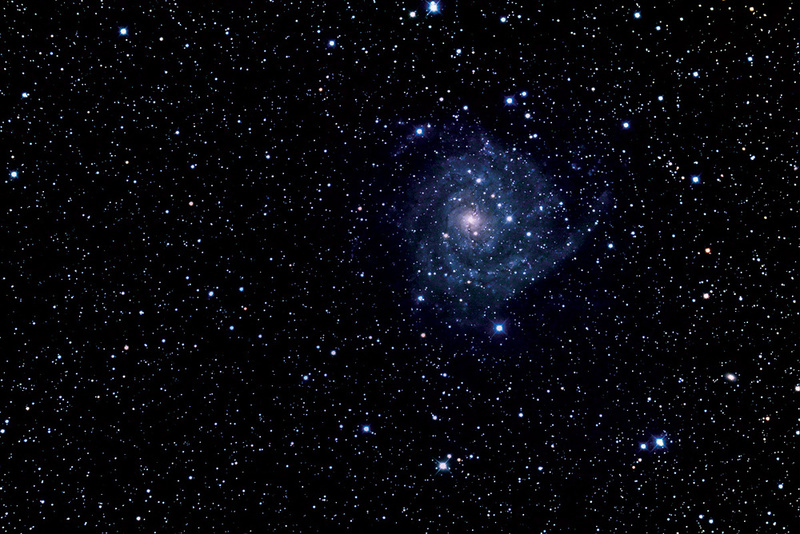 You may also want to roll off some low‑end below 150 to 200Hz, to enhance the illusion of distance. If the instrument in question was recorded using a microphone, using a greater mic distance at the recording stage may also help cement the illusion. When applying reverb to distant sounds, choose a suitably diffuse reverb type (in other words, one without too much detail), and also roll off some high end, as you did with the sound source itself. Distant sounds tend to encounter a greater number of reflective surfaces than nearby sounds, so you can afford to add more reverb to sounds you wish to place at the back of the mix. Don't overdo the reverb, though, unless your musical production has an artistic need for it — modern records tend to be mixed very 'dry' compared with the excesses of the '70s and '80s. As a rule, the more space you leave in the mix, the more reverb you can use without sucking out all the space. 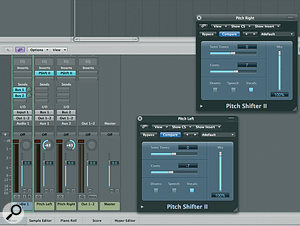 Busy mixes usually benefit from either less reverb or the use of ambience programs that generate only early reflections. Tape-echo emulation plug-ins, like the Universal Audio RE201 Space Echo (left) can be used to create an impression of distance. If you don't have access to tape echo, you could try using a digital delay and rolling off the top end at about 4kHz, and the bottom end around 200Hz. Combining repeat echo with reverb is a great way of creating a sense of distance, especially if you have a tape echo (or an plug-in emulation of one), because the repeats are less clinical than they are using a standard digital delay. However, if you have only a digital delay available, try rolling off the high‑end above 4kHz and the low end below 200Hz. Emulations of analogue delay are also worth experimenting with, because the repeats tend to be very dull and indistinct. Effects such as chorus tend to push sounds back in the mix by making them sound less focused, so you may want to use chorus or a similar modulation effect on keyboard pads that are designed to sit behind everything else. 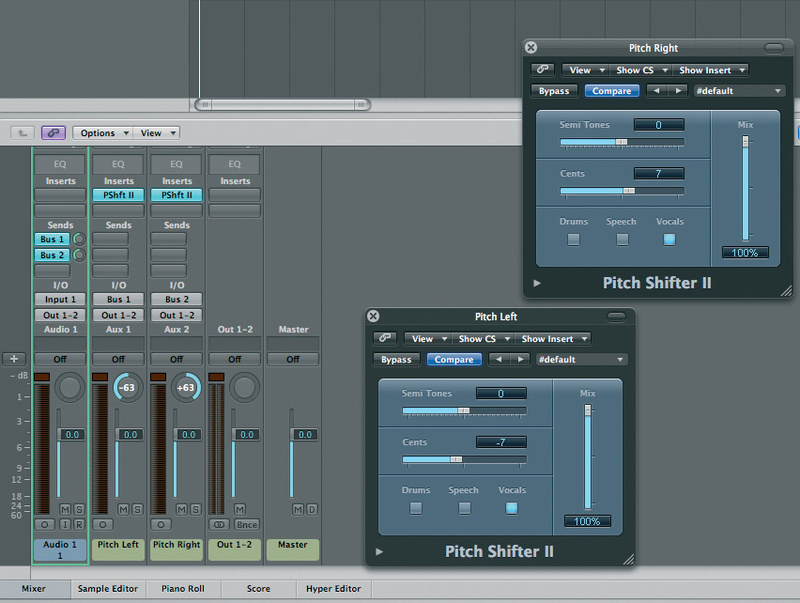 You can also achieve a similar result by using a dual‑channel pitch‑shifter to add two more layers, one shifted up by seven cents or so and the other shifted down by the same amount. Roland's Dimension D (or its plug‑in equivalent) can also create a chorus‑like sense of spatial diffusion without sounding so obvious. If you need to use chorus on a sound that's supposed to be at the front of the mix, as is sometimes the case with guitar, keeping the part sounding bright and free from excessive reverb usually does the trick. Perspective is all about contrast, so while sounds can be pushed back by making them less bright and more reverberant, they must be balanced by brighter, drier sounds at the front of the mix. Don't make the mistake of trying to make every single element sound pristine in its own right — or you'll find the back of the soundstage is empty, and the front somewhat overcrowded. Modulation effects such as Roland's Dimension D chorus (the UAD plug-in version is shown above), can help to diffuse the focus of a sound, pulling it away from the front of the sound stage, and leaving space for other sounds to be pulled forward. Alternatively, you could try a detuned, panned pitch‑shift: an example setup using Logic is given below. The main vocal will appear to be more 'in your face' if it has little or no reverb applied to it, and you can create very dramatic effects by having some vocal elements completely dry, with some high‑end EQ boost between 7 and 10kHz to add a touch of air. You probably wouldn't use this for a vocal that runs all the way through the song, but for the odd intimate phrase that needs to appear to be very close to the listener, it can be quite dramatic. Compression can also help to bring out the breath details on an intimate vocal part, making it feel much closer to the listener. Consider using delays instead of reverb to add space to vocals. Alternatively, combine delay with a lesser amount of reverb, or use reverb with a long pre‑delay (in the region of 90 to 110ms). As close‑by sounds tend to be brighter than more distant ones, you can often afford to use a brighter reverb with more pronounced early reflections for treating your lead vocal. It is often useful to set up two different reverbs: one a fairly generic sound such as a plate; and the other an early reflections or ambience pattern. That way, you can balance the character of the early reflections with the more obvious reverb character of the plate. Delays can also be wonderful for creating a big stadium-rock guitar solo sound while keeping the solo very up‑front. Automating the frequency of a low‑pass filter can make a good, subtle alternative to dropping levels when you want to temporarily send sounds to the back of the mix. Plan your instrumentation and arrangement so that the sounds you choose aren't conflicting with your mixing plans. For example, very bright synth pads are more difficult to push to the rear of the soundstage than duller ones. Similarly, if the backing vocals sound brighter than the main vocal, they're less likely to sit behind it. There are, of course, exceptions, where the backing vocals are supposed to stand out (think 'Video Killed the Radio Star' for example), but as a rule the main vocal is the one that you'll want your audience to be most aware of. 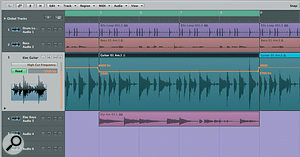 Adding more reverb to the backing vocals, or double‑tracking them, can make them easier to place behind the main vocal. If you're using sampled drums, try using them with little or no additional EQ — even if the temptation is to try to make them sound even bigger and brighter. Unless the musical genre demands that the drums sit at the front of the mix, choosing a more natural sound will help you to build perspective. 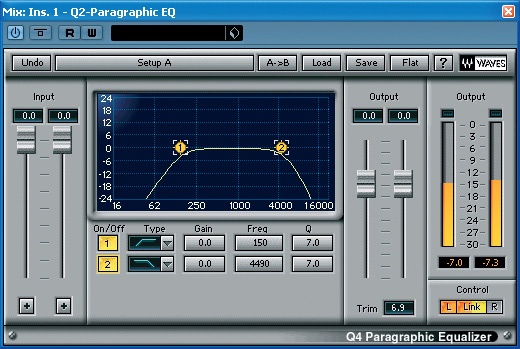 Instead of using level automation to duck the level of things like guitars and pads to make way for the vocals, try using some automated top‑cut EQ, using a low‑pass filter with a 12 or 18dB/octave slope — just to take the edge off the sound when something else is playing, or where it coincides with the vocals. You can use this technique on its own or in combination with subtle level automation but the trick is not to overdo the top cut, otherwise it will become obvious to the listener, which is not what you want. 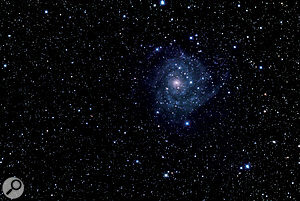 Check the subjective results by listening from outside the studio door with the door left open. If you've been successful in creating depth in your mix, it should still be audible when listening this way and you'll also be in a good position to judge the overall balance. It's always a temptation to solo the individual elements within a mix when you're working out what EQ and processing to use, but unless you have a lot of experience, this tends to leave you with a lot of big, bright sounds fighting it out for front position, as I cautioned earlier. 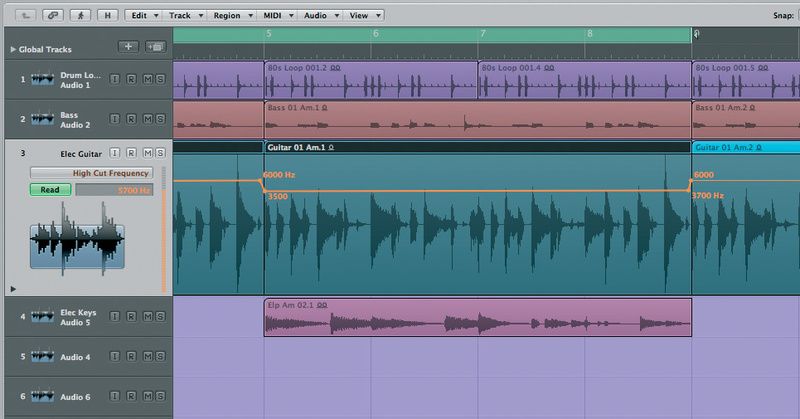 In most pop mixes, the vocals need to be at the front, the guitars and main keyboard parts sit slightly behind, along with the drums, and then additional elements such as pads and backing vocals may be pushed further back still. Incidental percussion can also be pushed back and panned further from the centre. Listen to the Who's production of 'Won't Get Fooled Again' and you'll notice that those powerful guitar and drum sounds are a lot less bright than you might imagine, allowing the vocal to really come through: the modern tendency to EQ everything so that it can cut glass isn't always a good strategy! Getting these tricks to work in the context of your own music requires that you decide which elements you want to place where, and, as with any mixing technique, it's important to train your ears. So as well as trying these techniques out, make an effort to listen to the commercial tracks that you like to see if you can spot which techniques are being used: you'll soon find that they become second nature.